In the constant flow pump, a stepping / stepper motor is used to create a pumping function and allow fluid to flow. 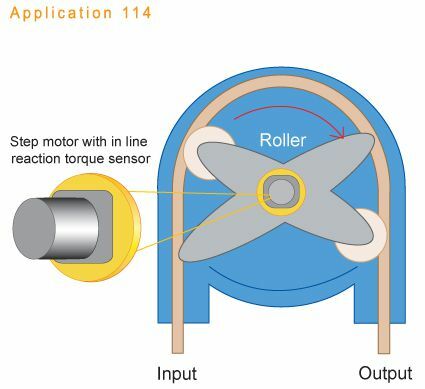 A reaction torque sensor attached to the back end of the motor monitors the required torque and can relate the changes in torque to the flow rate or alarm the operator when the torque falls outside of its expected window or malfunctions. Using the torque feed back improves the efficiency of the pump and elongates its life.